The Acceptance Health Insurance Company Review is a review of Acceptance Insurance Services, Inc. Serving the San Francisco Bay area, Acceptance Insurance Services, Inc. offers many types of personal and commercial insurance options. Use our free online tool today to find great health insurance rates in your area! Enter your zip code now! Acceptance Insurance Services, Inc. was founded in 1989, by Jane and Vernon Synovec. When it began, the company only had one location and only offered car insurance. Today, it has five locations throughout California and offers multiple lines of personal, business, and commercial insurance, as well as, bonds. The first Acceptance Insurance Services, Inc. branch is the Pleasanton branch located at: 6280 West Las Positas Boulevard, Suite A, Pleasanton, California 94588. The manager is Rich Childs and the office manager is Maria Torres. The phone number is (925) 484-6000. The second is the Lompoc branch located: at 1012 North H Street, Suite C, Lompoc, California 93436. It is managed by Linda Bales and the phone number is (805) 735-5555. The third is located at: 324 East 11th Street, Suite A1, Tracy, California 95376. It is managed by Marcella Puentes and the phone number is (209) 835-8000. The fourth branch is located at: 2280 Diamond Boulevard, Suite 160, Concord, California 94520. It is managed by Karl P. Noll and phone number is (925) 825-3200. The fifth is the Lodi branch is located at: 617 East Pine Street, Suite E, Lodi, California 95240. It’s managed by Roger Bales and the phone number is (209) 369-4900. 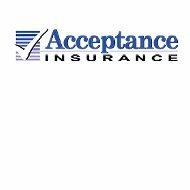 You can get a free quote from Acceptance Insurance Services, Inc. by filling out their convenient online form. The information needed is a first and last name, daytime phone number, evening phone number, fax number, email address, and a specification of the best time to receive phone calls. You also have to choose which insurance service you are interested in and which office location fits your needs the best. The types of insurance that Acceptance Insurance Services, Inc. offer are car insurance, health insurance, home insurance, commercial insurance, bonds insurance, and even Mexican insurance. Their car insurance plan offers multiple discount opportunities. Some of these discounts include a good driver discount, good student discount, a special discount for those that have both their home and car insurance with Acceptance Insurance Services, Inc., and a special discount for those that drive a car with more advanced safety features. Not only do Acceptance Insurance Services, Inc. offer home insurance, but they also provide renters and condo insurance as well. Their home insurance plan comes with many discount opportunities, such as; a discount for having an alarm system, a discount for buying a newer home, a discount for having no previous home insurance claims, and a discount for also insuring your vehicles with them. There is no information available on the website for the other insurance plans they offer. To receive information on the health insurance, commercial insurance, bonds, and special Mexican insurance offered by Acceptance Insurance Services, Inc., a person has to either call or email an agent or fill out the free online information request form. Individual medical coverage is designed for a person that does not receive health insurance through their employer. Medicare supplement insurance is a plan for senior citizens that take part in Medicare and need additional insurance to cover costs that Medicare does not. Medicare Part D coverage is a special plan that pays for prescription drugs for those enrolled in Medicare Part A or B. Hospital Income coverage is a supplemental program that pairs with a primary health insurance coverage. Start comparing health insurance quotes today by entering your zip code now!